Hamilton Beach 7-Quart Programmable Slow Cooker Just $24.96! Down From $49! You are here: Home / Great Deals / Amazon Deals / Hamilton Beach 7-Quart Programmable Slow Cooker Just $24.96! Down From $49! Head over to Amazon where you can score this Hamilton Beach 7-Quart Programmable Slow Cooker for just $24.96 down from $48.58 PLUS FREE shipping with Amazon Prime or for orders over $25! Cook any slow cooker recipe effortlessly, and in the time you need it, with the Hamilton Beach Programmable Slow Cooker. Easily schedule your meal to be ready when you want it with programmable times ranging from 30 minutes to 18 hours and low or high heat settings. There’s no need to monitor the cooking process – the wraparound element provides even heating that doesn’t even require stirring. And a countdown timer lets you keep track of when dinner will be ready. 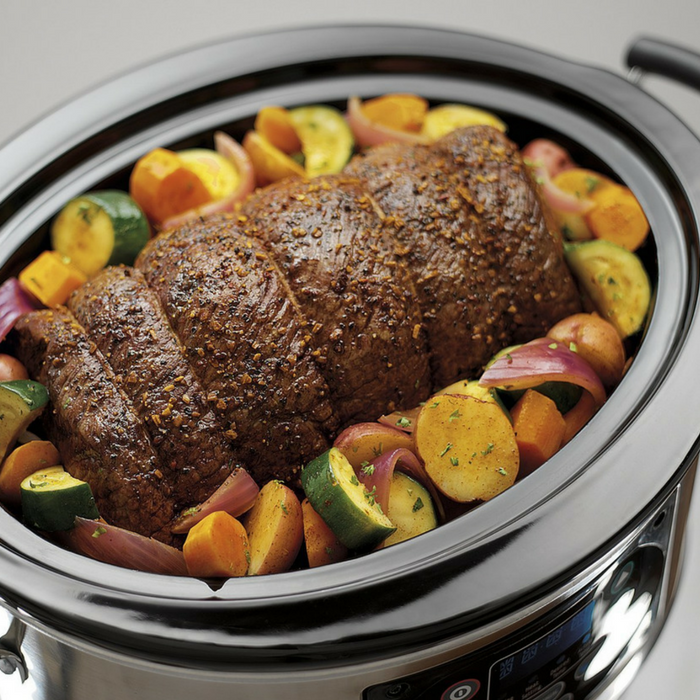 Once cooking time is up, the slow cooker automatically switches to warm. When you’re done, both the lid and crock remove easily and can go into the dishwasher for cleanup.